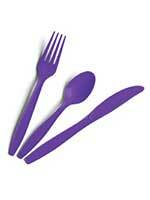 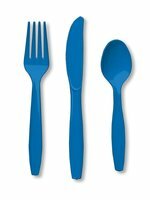 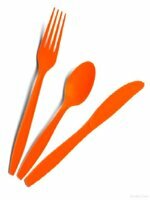 Party Cutlery is disposable and available in many varieties of colours to match any table setting. See below our choice of Party Cutlery and select from classic White or Gold to bright Hot Pink or Red. 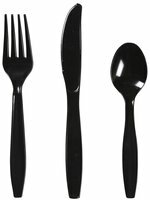 This Party Cutlery is sold in packs of 24 containing 8 forks, 8 knives and 8 spoons. 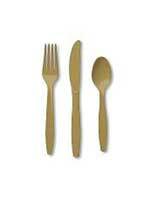 Please Contact Us for any information regarding Table Cutlery.